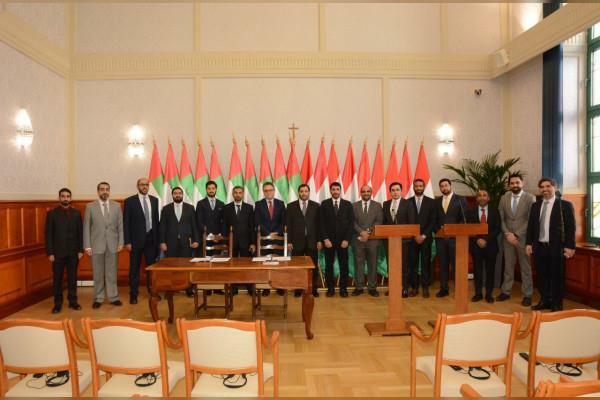 SHARJAH, 25th March, 2019 (WAM) -- The Sharjah Economic Development Department, SEDD, participated in the second session of the UAE-Hungary Economic Committee in Budapest. The meeting was organised by the UAE Ministry of Economy. During the visit, various meetings with ministers and officials were held to discuss means of cooperation in economic and trade fields between the two countries. The meetings created scope for the delegation to discuss opportunities, challenges and exchange of information on the most important sectors to be developed. Opportunities for trade and investment partnerships were also highlighted.